If you have been following my pregnancy up until now, you may remember this post that I wrote on whether or not I wanted to try to go natural with the delivery of my third child. I had an epidural with my first delivery that only worked so/so, on my next delivery I had a natural birth unintentionally (as the anesthesiologist was stuck in a C-section and I was strapped to the IV on the bed with no options.) So this time around I really wanted to try to prepare to do something new in a way that felt me feel more pro-active and in control of the way I responded to labor and childbirth. I did a lot of research of different types of natural birthing: Bradley Method, Lamaze, Hypnobirthing, and then I came across Hypnobabies. I am now an affiliate with Hypnobabies and am excited to announce you can buy their products from our site. If you have any questions please let me know. If you would like to purchase your own at home study course or any of the other amazing Hypnobabies products you can BY CLICKING HERE! I had called my local hospital and asked them if they offered birthing classes. I wasn’t looking for the typical “Intro to birthing” class, I wanted to know if they had a class that taught hypnobirthing exclusively. Did you know that hypnobirthing is the method that Kate Middleton used when giving birth to Prince George? Anyway, a few of my friends had told me about this method and I became more and more curious about it. Why not prepare to deliver naturally and actually have a game plan this time? It couldn’t be worse than what I’d experienced before and I knew that if I decided to have an epidural or if things turned out that I needed to have a C-section that is fine…but I thought this hypnobirthing was worth a shot. So, back to the conversation with the hospital. I ended up talking to one of the teachers (Debbie) that is also a nurse at the hospital and she told me that they unfortunately did not have a hypnobirthing class, but because I was in my 34th week of pregnancy even if I did take a class from another hospital, I probably wouldn’t have time to sign up for a class that would done in time for me to get all of the classes in that I would need. She told me about another option called “Hynobabies” which offers an “at home” complete study course that you can do on your own pace. The class takes 5 weeks to complete and would supply me with all the materials I would need to see if hypnobabies is a good fit for me. So what is the difference between “hypnobirthing” and “hypnobabies” I asked? Debbie explained that Hypnobabies allows you to practice self hypnosis in a way that you can interact with the people around you during labor and you don’t have to be so “inside yourself”. She said that as a labor/delivery nurse she had been so impressed with the women who had come in to delivery and were prepared with this method. She was so impressed, in fact, that she is pregnant with her fourth and is planning to deliver this baby with the hypnobabies method. She told me that she had done Bradley method with her first and hadn’t liked it, done an epidural with baby #2 and #3, but is now considering going natural again by what she has seen with these women that she wants to give it a try herself for #4. I don’t think there was a better recommendation than one coming from a labor/delivery nurse who has seen a lot and is also planning to use this method for herself…so I decided I would give it a try. There are so many doubts that we have as people, as women, in knowing whether or not we can rise to a challenge of something that seems so difficult. As I expressed my concerns to Debbie about its effectiveness and whether or not it could work for me she cautioned me by saying, “This method works for people that PRACTICE. EVERY DAY. You can’t go into it half way. You need to decide if this is something you are going to do and then COMMIT to it.” The reason that is the case is because self-hypnosis is a cumulative practice that gets easier to do and more effective every time you do it. There is also a huge majority of it that plays off your psyche if you think it will work for you there is a good chance that it will, if you think it won’t you are probably right. Because by nature, it is using the power of your mind and allowing yourself to relax so deeply that you let your body do what it was naturally made to do. Hypnobabies actually has 10-12 audio tracks that range from 24-37 minutes that you are supposed to listen to every day that help train your mind in self hypnosis. You learn about creating a peaceful safe place in your mind, a “bubble of peace”, and eventually a “finger-drop” method that physically connects your physical body’s movement to internal mental stillness. Ultimately it is about letting your mind create a positive place for your body to naturally do what it was designed to do and accepting the “pressure waves” (i.e. : contractions) as pressure and not pain. Another factor to consider in my choice to prepare to go natural was the support of my husband. I can take other people thinking I’m crazy, but I knew in that moment of labor I would need my husband by my side and cheering me on with faith that I could do what I set out to do. My sweet husband is fabulous, very supportive and loving. In the hospital room he can be…quiet…like deer in the headlights kinda thing…and I was afraid that would cause me some problems. We had MANY conversations that first started with him thinking I was CRAZY and I would waffle back and forth as I read through different methods as to whether or not I did want to go natural. And then I realized, I needed to know whether or not he would be on board with me choosing to go natural and to talk about it positively to me and to those around us (at least in my ear shot.) 🙂 One day he said, “Okay, so you want me to support you going natural, but you want to reserve the right to do an epidural if you choose to.” Exactly. I wanted the freedom of knowing that he had my back either way, I was already putting enough pressure on myself learning the techniques and reading about birth plans. I needed to know he would be willing and ready to learn about laboring positions, counter pressure, relaxation scripts, and positive affirmations. Once I knew that he was ready to take part it helped buoy me up a lot. The decision was mine alone to make and of course I would be the one physically experiencing the pain, but knowing that he was ready to tackle it with me, even if that just meant telling me I can do it with a sincere smile helped a lot. Hypnobabies can be done without a birthing partner, or you can hire a doula, so you don’t have to have a partner on board, but it really helped me making up my mind! Hypnobabies has materials just for your partner and they really make it easy to know what to do as a partner/coach as they give you step by step actions and things to say to help the birthing mother. Once my husband realized this was the case it took a huge load off of his shoulders because that is one of the most intimidating factors for him is not knowing what to say to help me when I am in labor. Going natural takes SOOOOOO much more preparation than simply telling your doctor you want an epidural. You are actually supposed to write up a plan and learn about saline blocks, birthing balls, laboring techniques, lighting, music, etc. ; the list goes on and on. Some of the time I wanted to just go the easy route to not have to worry about all the preparation…in fact, my Dad said to me, “Why don’t you just enjoy it? Get the drugs and just hang out?” I really look up to my Dad and value his opinion and there was a time (earlier in the pregnancy) that after he said this to me it pushed me to the other side of the fence and I found myself thinking. “Yeah, why don’t I just enjoy it and take it easy?” Now, as I write this I want to make it clear that I think each woman needs to decide what works best for her. It is all about the health of the mother and child and nothing is more important than that. I also have nothing against drugs used in helping women in labor, thank the Lord for modern medicine, because it is truly one of the greatest miracles. 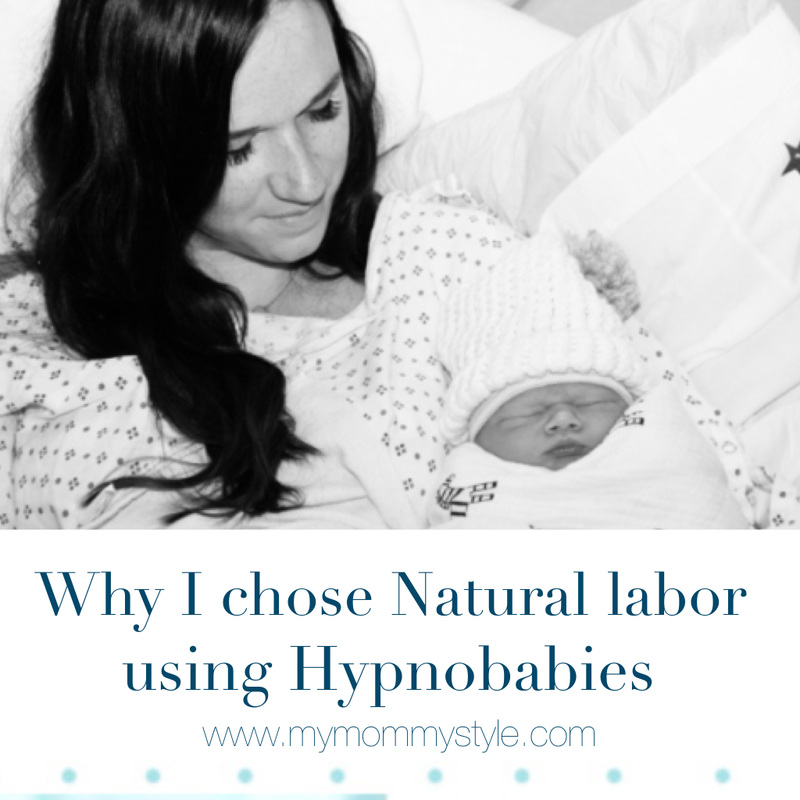 But for me, when all was said and done and I decided what I wanted for my labor, my body, and my baby I was going to give this natural thing a real shot and commit to hypnobabies. What I really liked about hypnobabies in this area is that they lay it out for you week by week, day by day, what you are expected to do to. It takes the guess work out of the preparation and I love that. *If you decide you want to try to go natural talk to other women who have done it. By far, talking to other women, reading their stories, or watching their you tube videos helped me more than anything .There is enough doubt/negativity around telling you that you can’t do it. Talk to someone who knows you can and that will be the starting point to give you the strength to push your determination forward. *I would also say, if your delivery doesn’t work out the way you hope it will…be open to knowing that this is a very likely possibility. Every delivery is soooo different and it wont be exactly what you think. Be ready and willing to roll with the punches and if you do end up needing an epidural or a C-section do not beat yourself up about it. Even after having three babies no one delivery was the same and they all surprised me in different ways. The fact that as many healthy babies happen every single day in so many different scenarios is just a pure miracle to me. *It’s worth it. Hands down I will do this again (we are thinking we will have one more babe…we’ll see if I am saying the same thing in a few years.) Preparation made ALL the difference and I am excited to share my experience. I am now an affiliate with Hypnobabies and am excited to announce you can buy their products from our site. If you have any questions please let me know. If you would like to purchase your own at home study course or any of the other amazing Hypnobabies products you can BY CLICKING HERE! Did you know that My Mommy Style has a YouTube Channel? I decided to share my experience of studying the 5 week course with a run down of videos and posts so you could have a better understanding of what to expect as you study from home. This video is an introduction of why I chose Hypnobabies. This post contains affiliate links, by purchasing an item through My Mommy Style you help support us in the information we share with you, thank you! My mom delivered all eight of her children med-free. Immediately after giving birth for the first time she said, “that was fun, I want to do that again!” When I was younger I thought she was either lying or crazy (or maybe both). I found your post through instagram after clicking on a hypnobabies # that I used. I used hypnobabies as well. My baby is 2 months old now (our first) I finally just got done writing her birth story on my blog and wanted to do a similar post to this explaining to people what it is and why I chose it. This post is perfectly written! I’ll probably include a link in mine since you have done such a great job of explaining! I’m new to the blog…do you have your birth story written here? I love finding other women who have used it and had a wonderful experience as I did!